A luxury self-catering gite for six to seven persons in the heart of the Dordogne. One guest in 2016 said that this was the best gite they had ever stayed in in France. Le Grand Bost is a rural hamlet located in a no through road - passing traffic is almost non-existent. The property is not overlooked by other houses. It is situated in the heart of the Dordogne countryside with vineyards and orchards for neighbours. Yet it is just a few minutes from the village of St Meard de Gurcon, and 15 minutes from the bustling market town of Sainte Foy la Grande. 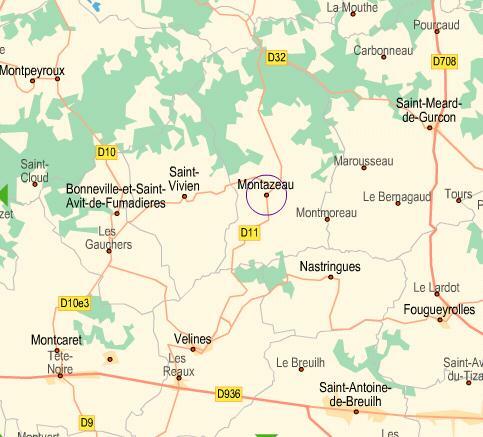 It is conveniently located 40 minutes from Bergerac airport, and just over an hour from Bordeaux airport. One of five properties hidden within the hamlet, this is a 3-bedroomed stone built barn restored to a superior standard with a superb, secluded, walled courtyard and a private, heated, 4m x 10m, swimming pool with roman steps. It has been furnished and fitted out with comfort in mind and offers every modern amenity whilst retaining the old world charm created by stone walls and oak beams.